Suitably Stamped: Techniques - Geek or Chic? Happy Monday! Well, at least for a couple more hours. I'd forgotten how fun this technique is. The title of this post, "Techniques - Geek or Chic?" because... well....because I think they are a little of both. I'm a sucker for a fun and new technique. 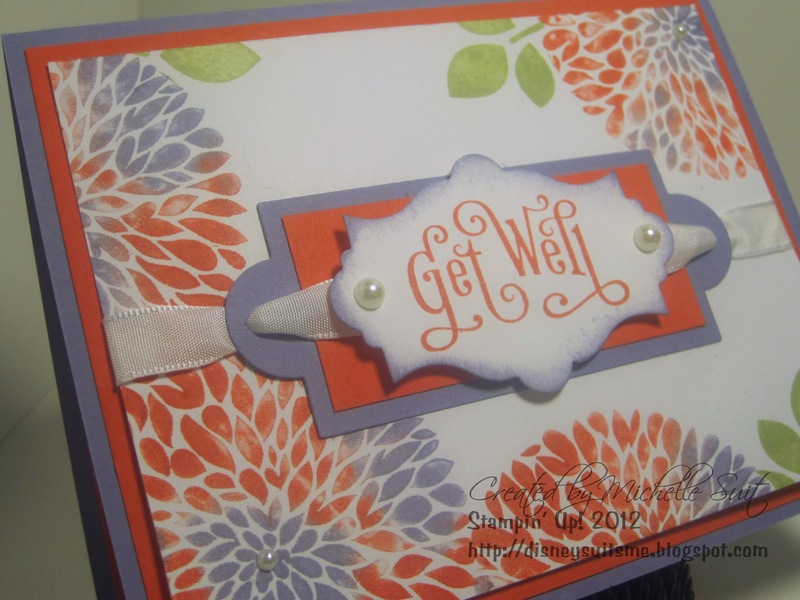 There are SO many creative minds out there and while it might be just card stock and ink....there are millions of new ways out there to use them create a little "magic". 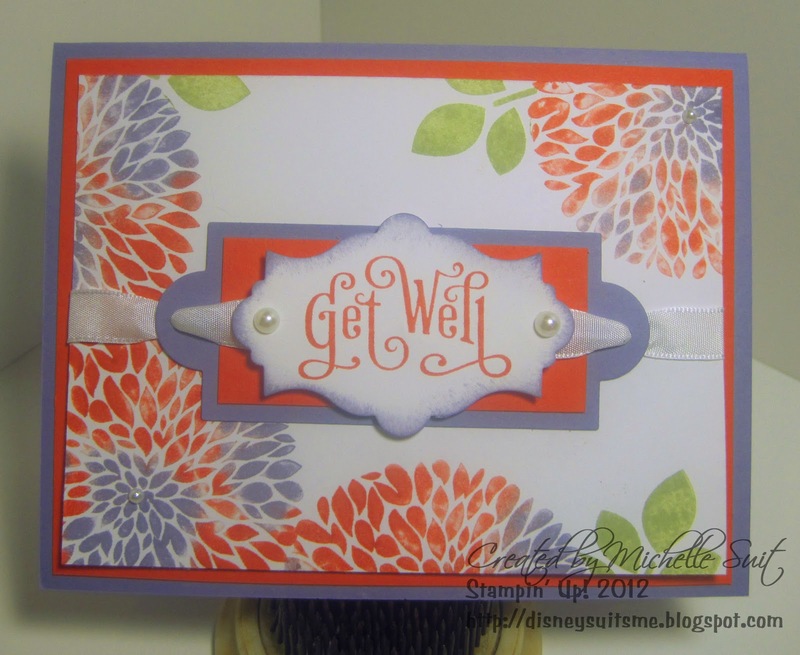 Stamp Sets: "Betsy's Blossoms" and "Perfectly Penned"
- This group will be open to the first 12 stampers who sign up. - Each month you will learn 4 fun techniques and create a sample to put in your journal for each. You'll be able to make notes so that once you're home and ready to recreate them you'll have everything you need to jog your memory. Doesn't that sound like fun?? It sure does to me! If you'd like to join in the first "Chic Techniques" Group, just send me a quick email and let me know. In your note please give two days of the week that will work for you. I will collect all 12 names and their days of choice and the majority will determine the day of the week that we will meet. Alrighty.....If you haven't had a chance to look at the brand new catalog you need to get a wiggle on! It's SO fabulous and I'm thrilled with all the new products and the new catalog design. If you're local and you still need a copy, just email me and I'll have one reserved here for you. If you are not local and would like to receive a catalog, send me a quick note and I'll get one in the mail to you asap. 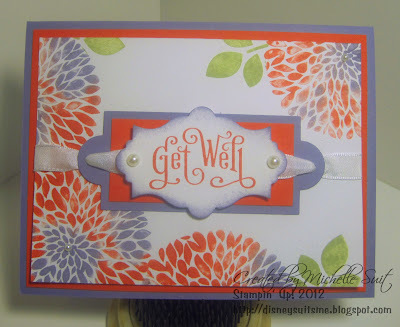 If you'd like to check it out online, just go to my Online Stampin' Up Website by CLICKING HERE. You can shop anytime...day or night. Alrighty.....That's all the news that's "fit to print"! I wish you a peaceful evening and a blessed day tomorrow.